The body looks as if it is a back view - it's only the shiny visor that gives the impression that it's a front view. Normally with fakes you expect a 'better job'. Yeah. It doesn't look like the classic Spaceman of science fiction. The part of its head that looks like a visor could simply be something else and the creature's face (or whatever its species has at the front of its head) could be on the far side of the head. Then again its chest looks like a human chest would look like from the front. This being is a complete mixture of poses and angles that could have come straight out of a Pablo Picasso painting! If Jim went to the trouble of producing a fake; he'd have done it better. As I said to Babage on the forum, there are many reason why faking this incident is unfeasible. Hi ETM. I remember you saying when I first posted this article on HPANWO... before it mysteriously disappeared! You've seen these strange beings too. So has the Andrews family which I wrote about a few months ago. Anatomically by arm positions it would be the back of a humanoid with a side profile face looking to the left. ....it is a very close resemblance. Analysing the Cumberland Spaceman photograph. Its an interesting case, but it does seem to be explicable. The thing nobody mentions about this photograph is the peculiar angle the 'being' is standing at. It doesn't matter if the 'being' is facing towards or away from the camera, it's angle of stance is unatural, even if it was walking along. I'd also like to see the other photos that were taken that day, to compare light and composition. These don't appear to be in the public domain. Yes, Duke he would have fallen over if he was leaning like that. Gordon, despite your analysis, the lack of additional information can't back up the idea of a "Mod" in the background. Oldmanskates, Gordon and Duke. Would you like to join the HPANWO Forum? It will make discussion easier. I'll bump the relevant thread. I have read read a million variations of the Spaceman story but one area I would like more info one is Jim Templeton's wife. According to his account she was their, with Jim and the Daughter and it would be interesting to know what she looked like at the time (i.e. 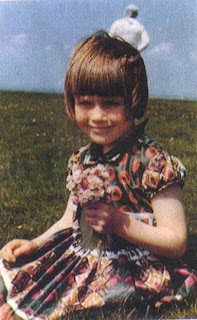 stocky - like the Spaceman) and whether she was wearing light coloured clothing which could account for the figure. I think what I am getting at is - could the wife have wandered across the shot without Jim realising as he was busy taking the photo? You may find my recent investigation article on the Spaceman photo quite interesting. 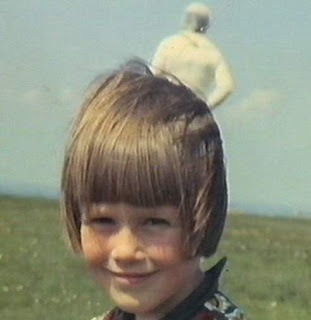 I think I may have uncovered a new angle on the Spaceman mystery to do with the geography of the area. Look at the arm, that figure is facing away from the camera. So why does it have a "visor" for the back of its head? Some people see what they want to see. because we're programmed by evolution to see faces...like faces in the clouds, jeasus in a piece of toast.... Good luck with that. This is not fake, its just not what you want it to be. But that dont mean we are alone, there are some awsome mysteries out there in a billion galexies there has to be something other that just us. You're right. It is the back of a figure which is looking to his/her left. Notice the profile of left side of the figure's head. The clothing and hood matches common bee keeping suits of that area. Many bee keeping sites for honey production are located near where the shot was taken. hi!,I like your writing so much! percentage we communicate more about your article on AOL? I require an expert on this space to solve my problem. May be that's you! Looking ahead to look you. similar topic, your web site came up, it appears to be like good. to watch out for brussels. I'll be grateful in case you proceed this in future. Lots of other folks will be benefited out of your writing. Cheers!